Today's interview is with Anil Chawla, founder and CEO of ArchiveSocial. Anil recently caught up with Ann Revall-Pechar, who serves on the CED PR/Marketing Committee. ArchiveSocial will be a Demo Company at the CED Tech Venture Conference 2012. 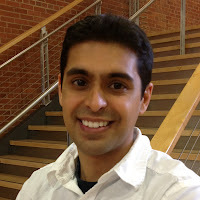 Ann: Congratulations on being chosen to present at TechVenture 2012, Anil! Anil: Thanks! We’re thrilled to have an opportunity to unveil ArchiveSocial to such an important gathering in Raleigh. We’ve experienced a lot of momentum these past several months and feel that TechVenture is a great opportunity to share our story. Ann: So what exactly does ArchiveSocial do? Anil: Well, I am excited to share a preview of that story today. ArchiveSocial is the social media archiving solution for business. Our product automatically captures and archives the social media activity of an organization for legal, compliance, and other business requirements. Ann: So you’re like a remote storage for social media conversations? Anil: We’re more than just storage. See, it’s becoming more and more important for business to keep records of their communications, whether it’s to employees, business partners, or even customers. It is a fundamental, and often legal, need. With social media becoming a core business communication tool, it’s being used for business development, customer service, marketing and even recruiting. Finding the correct and complete communications your company has had on Facebook, Twitter and LinkedIn is complex. That’s where we come in. Take Facebook, for example. Imagine the long strings of wall posts, comments, private messages, photos… you can’t just dump that into a database and expect to understand the communication. So we took a look at how social media actually works, and designed a solution that works the way social media works. Ann: Very interesting. How did this come about? Anil: Well, I had a great job at IBM that I enjoyed. But, I had started developing social media applications on the side, and was bitten by the entrepreneurial bug. ArchiveSocial was actually developed in response to an inquiry from someone familiar with my expertise in social media technology, and they asked if I could help solve this problem. So after some research, ArchiveSocial was born! Ann: And you have had some help along the way? Anil: Absolutely. First, we have had fabulous advisors. In addition to CED’s VMS program and Startup Stampede, folks like Dave Neil and Chris Heivly at Triangle Startup Factory have really kept us headed in the right direction. Of course, winning the Spring 2012 NC IDEA Grant was hugely helpful, too. Our next step is paving the way for funding activities that we hope to undertake by the end of this year. Ann: Tell us about why ‘now’ is a good time to launch a company like ArchiveSocial. Anil: Well, just look at the social media adoption rate. It’s crossed a threshold from fad to furious. The impact of BYOD will only propel that evolution for business. Now that bodies like FINRA (the Financial Industry Regulatory Authority) and the government have said publicly that social media is electronic communication that has to be kept, we are seeing more companies and public agencies scrambling for a way to archive these records as required by law. Ann: Where does ArchiveSocial call home? Anil: We are happily ensconced in the Triangle Startup Factory in American Tobacco. In part because it’s free space! But it is important to stay in Durham especially while we’re young. To be part of the energy in the city for startups and entrepreneurial activity is important because it helps keep us focused on what we’re doing. Plus, we have more voices for our work, and are regularly getting support by engaging with people who’ve been in the same boat as us.